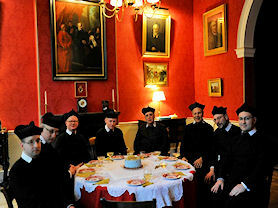 Our School has strong links with the Birmingham Oratory. 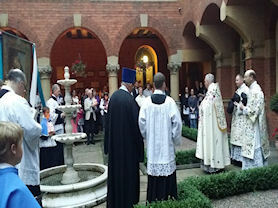 The Birmingham Oratory is a Catholic religious community of priests and brothers of the Congregation of the Oratory of St. Philip Neri, the community was founded in 1849 by Blessed John Henry Newman, their first house in England. 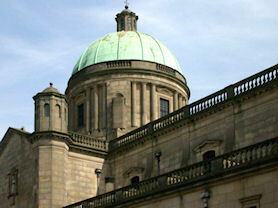 Part of the complex of the Oratory is the Parish Church of the Immaculate Conception, commonly referred to as the Oratory Church. 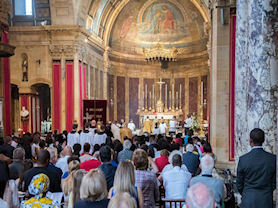 It now also serves as the national shrine to Blessed John Henry Newman following his beatification by Pope Benedict XVI at Cofton Park and subsequent visit to the Birmingham Oratory on 19 September 2010. Father Anton celebrating Mass with Year 6 boys. On the Archdiocese website you will be able to find out more about various aspects of life in the Archdiocese of Birmingham. 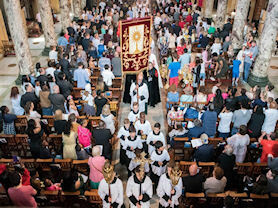 You will be able to check the list of clergy and parishes, find out Mass times and other services. You can access the pages of Archbishop Bernard Longley and his auxiliary bishops, read some of their homilies and learn more about them. 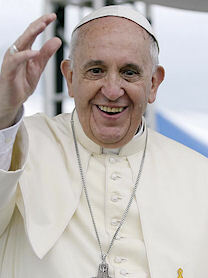 Pope Francis was born Jorge Mario Bergoglio on December 17, 1936, in Buenos Aires, Argentina. 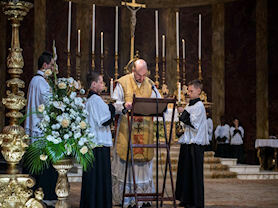 He felt the call of God and was ordained a Jesuit on December 13, 1969. A Jesuit means that he belongs to the order known as the Society of Jesus, founded by St. Ignatius of Loyola. Jesuits are known for traveling the world to spread the word of God and being missionaries who serve the poor and fight injustice.